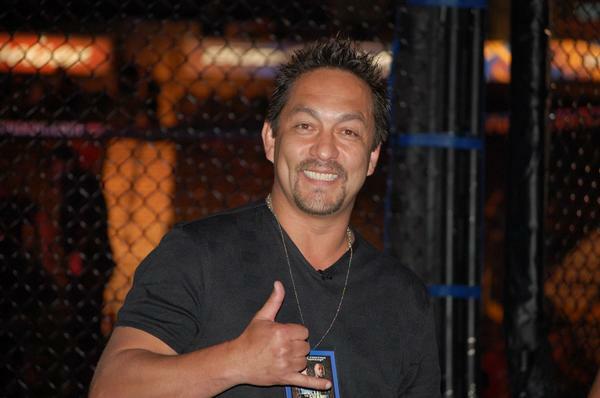 Mario Yamasaki is a mixed martial arts referee. Licensed in many states, he has refereed over 180 fights, mostly for the UFC, and in 2010 was named the Bad Boy "Referee of the Year". Born in Sao Paulo, Brazil on December 14, 1963, Mario has been teaching martial arts in Brazil for years alongside his two brothers. His father, Shigueru Yamasaki, an eighth degree red and white belt in Judo, and his uncle, Shigueto Yamasaki trained the brothers in the art as young children. By the age of 22, Yamasaki was learning Brazilian Jiu Jitsu under Marcelo Behring, a 5th degree balckbelt under Rickson Gracie. Mario moved to the United States not long after he began the training but traveled back and forth to continue instructions under Behring. When in the states, Mario trained under his brother, Fernando. He was promoted to 4th degree black belt in 2002. Mario and his brother helped the UFC affiliate with Brazil. The first event was UFC Brazil: Ultimate Brazil which was held in Sao Paulo. After the event, Mario inquired about a referee position with the UFC and thus began his longstanding career. Yamasaki's reffing career dates back to his first event at UFC 20 with Wanderlei Silva's first win in 1999. He served in both Fight for the Troops 1 and 2. Among the many UFC events he has officiated in recent events such as UFC 128. Yamasaki resides in Blue Bell, Pennsylvania and is married with children. He is the founder and chief instructor of the Yamasaki Academy and operates a chain of Brazilian Jiu Jitsu schools.